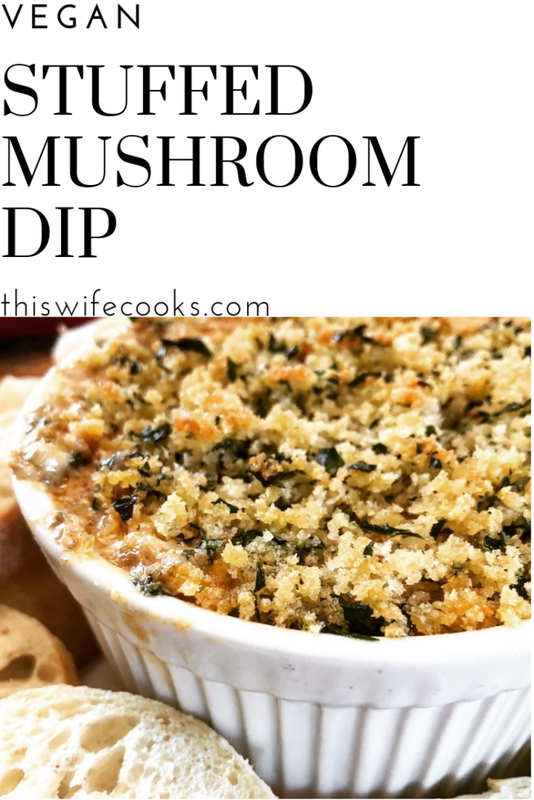 This Stuffed Mushroom appetizer dip, loaded with mushrooms, garlic, vegan cream cheese and vegan Hot Italian sausage then topped with buttery Panko breadcrumbs was devoured by all! I don’t know what else to tell you other than, make it, then kick back and accept the compliments. To a large skillet over medium-high heat, add vegan sausage and cook until browned and heated through. Add garlic, mushrooms, sea salt, and black pepper. Continue cooking 8-10 minutes, until most of the liquid is evaporated. Meanwhile, to a small bowl, add almond milk and 1 1/2 tablespoons melted butter and stir to combine. Add cream cheese, parmesan, and almond milk/butter mixture. Bring to a low boil for 2-3 minutes. 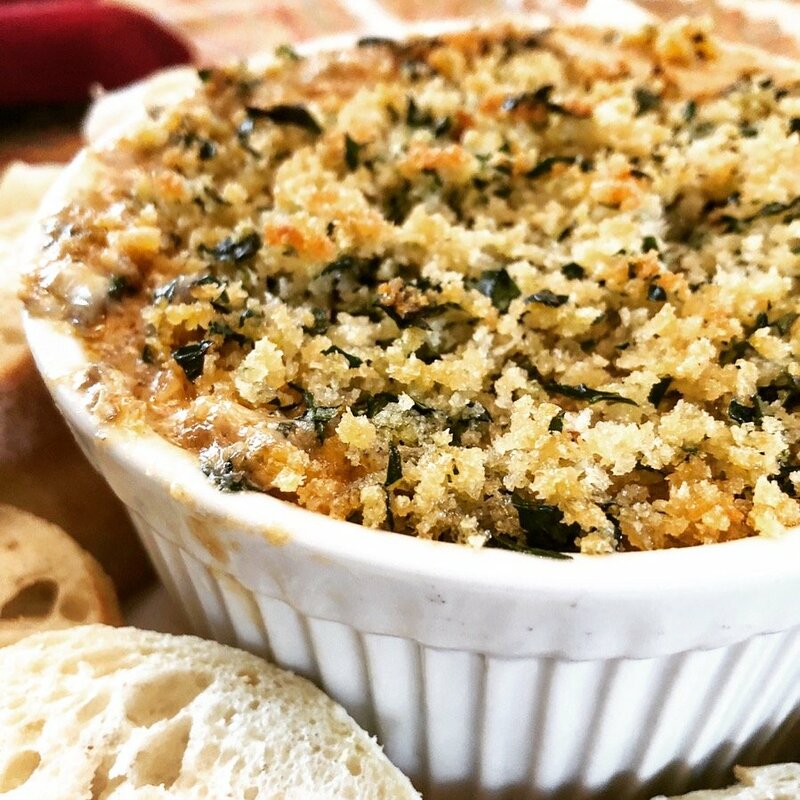 Pour into a 1-quart ramekin dish. In a small bowl, combine butter, Panko beadcrumbs, and parsley. Spinkle evenly over dip mixture. Bake 20 minutes, until bubbling and browned around the edges. After baking, allow to stand 10 minutes before serving warm.